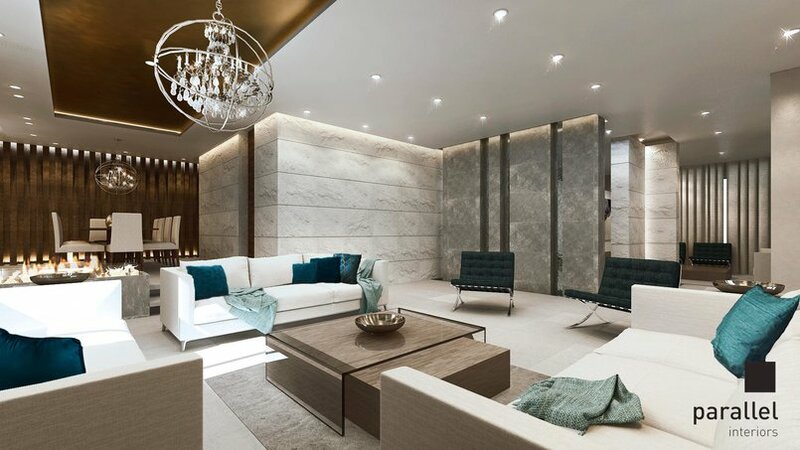 Noor Namari, Hisham Assi and parallel itneriors designed this unique home, with the use of natural maani and karaki stone, marble. 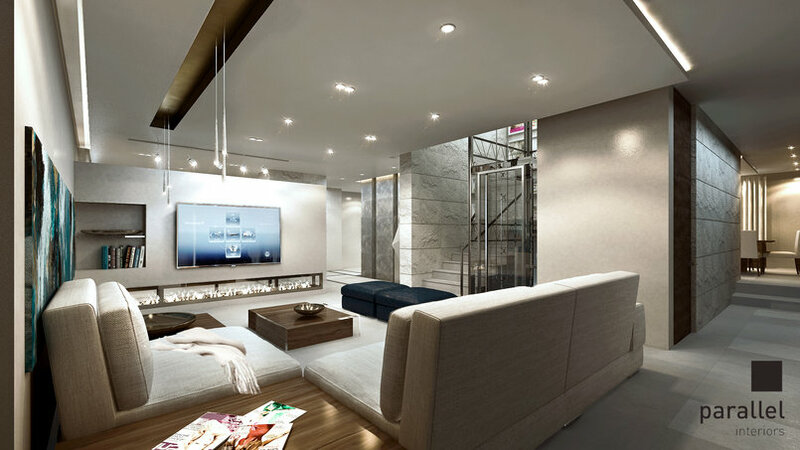 The space is composed of nuetral whites, and mixed with natural colored wood to add a cozy yet modern feel to the over all space. 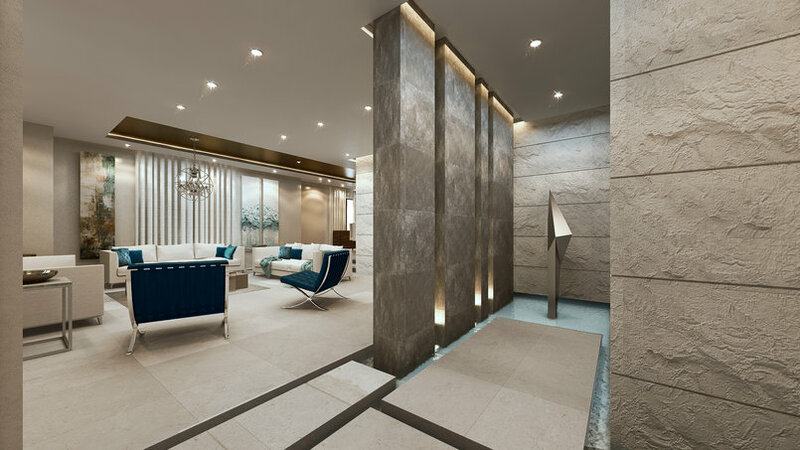 A water feature was added on the flooring to create a unique entrance experience while controlling the open space in the house. The aim behind the project is to reach a museum like simplicity feel in the overall design. Visit parallelinterior.net for more on the project.